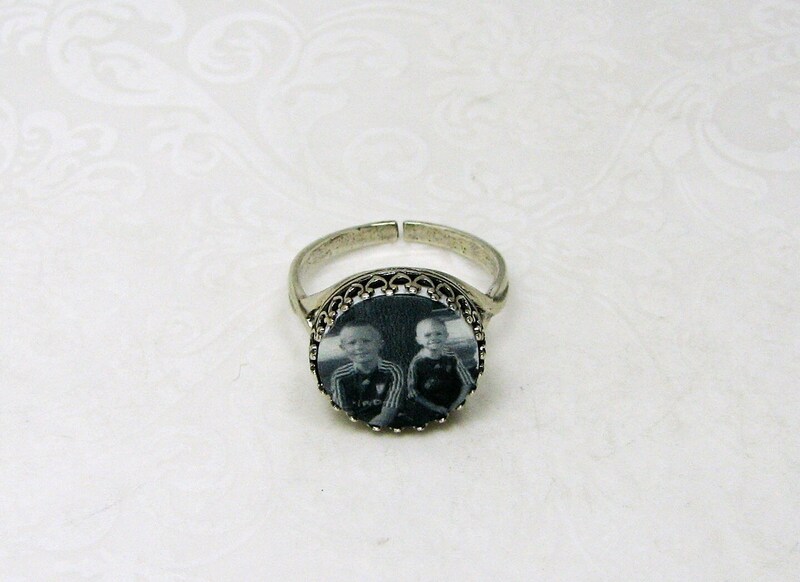 This beautiful ring holds a photo tile with your favorite image baked right in the clay, and it's sealed to a glossy, waterproof finish. 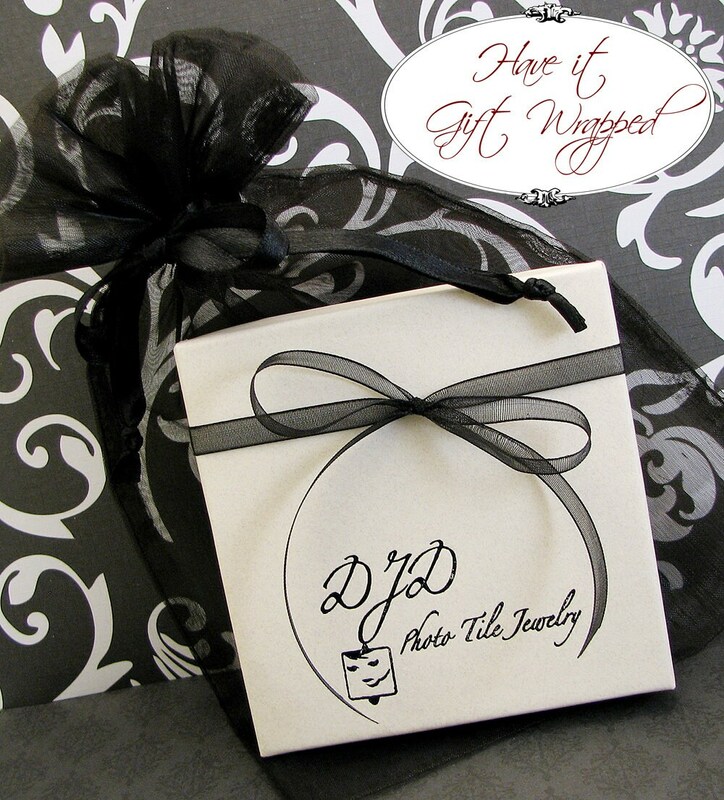 It has a surprise on the back side of the photo tile; just enough room for initials, a photo, or a small message. 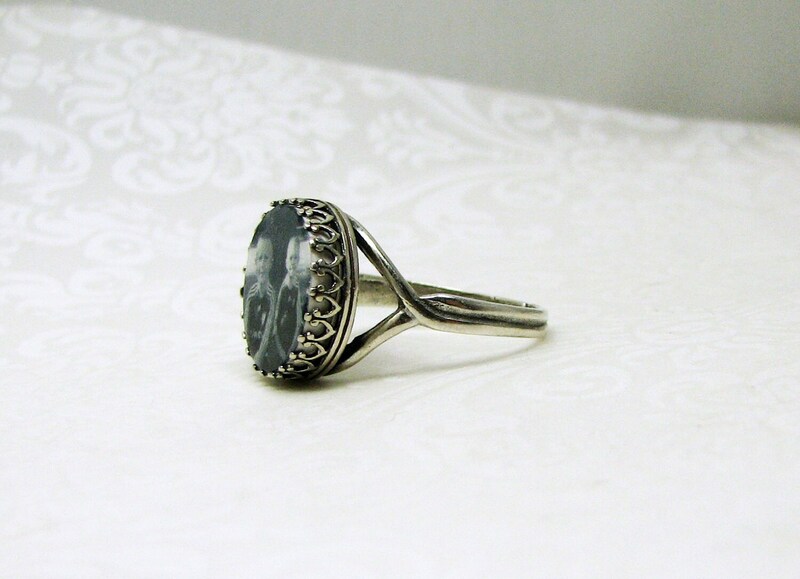 It's secured in this Classic style sterling bezel. 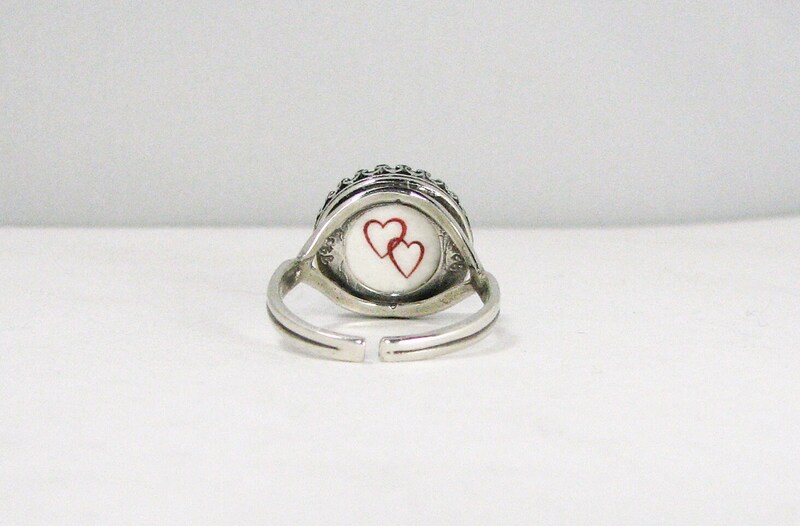 The ring shown above holds a photo tile that measures 14mm across. 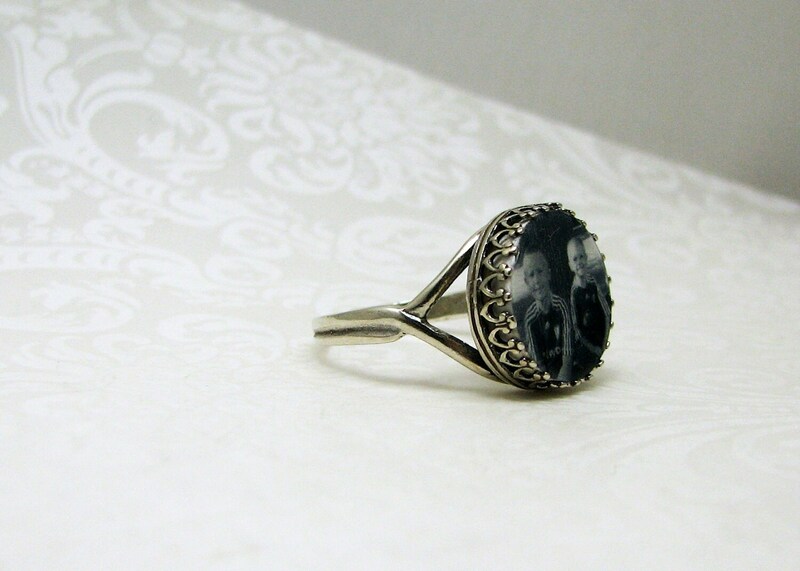 You can view more rings here: https://www.etsy.com/shop/DelaneyJewelry?section_id=6002848.